Berkery Noyes Represents Arlington Medical Resources (AMR) In Its Acquisition By Decision Resources, Inc. - Berkery, Noyes & Co., LLC. Berkery Noyes Represents Arlington Medical Resources (AMR) In Its Acquisition By Decision Resources, Inc.
NEW YORK, December 19, 2007 — Berkery Noyes, the leading independent investment bank serving the media, information and technology markets, announces that it represented Arlington Medical Resources, Inc. (AMR) in its sale to Decision Resources, Inc., a portfolio company of Providence Equity Partners, Inc. Terms of the transaction were not disclosed. According to Smith, the acquisition by Decision Resources is a critical step as AMR begins its next phase of growth. AMR’s Market Guides, which track the clinical usage of specific drugs and imaging procedures, primarily in the hospital setting, are considered the industry standard and are an ideal strategic fit with Decision Resources’ mission to provide quality analysis of commercially important healthcare markets. Berkery Noyes acted as exclusive financial advisor to AMR, Inc. on the sale. 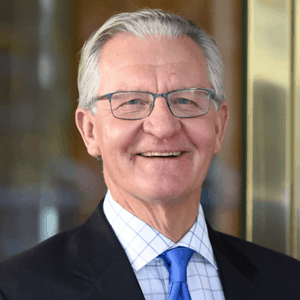 Berkery Noyes has been involved with many of the most notable transactions in the healthcare, pharmaceutical tools and services, and medical marketing sectors involving both strategic and financial buyers and sellers. 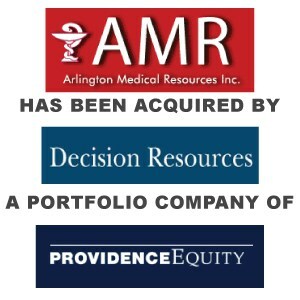 Arlington Medical Resources (AMR) is a pharmaceutical market research firm serving the market intelligence needs of the pharmaceutical and diagnostic imaging industries since 1991. With offices in Malvern PA and Brussels and affiliates in Tokyo, Seoul and Shanghai, AMR conducts syndicated audits in the United States, Italy, Germany, United Kingdom, France, Spain, China, Japan and Korea. Research includes clinical inpatient databases that directly link anti-infective drug with indication/procedure, formulary and stocking status tracking studies, drug purchasing audits and diagnostic imaging procedure volume/contrast media usage audits. More information is available for Arlington Medical Resources at www.amr-data.com. Decision Resources, Inc. is a world leader in healthcare market research publications, advisory services, and consulting designed to help clients shape strategy, allocate resources, and master their chosen markets. The company provides insight on the managed care industry (www.HealthLeaders-InterStudy.com), the medical device industry (www.MRG.net) and the pharmaceutical and drug industry (www.DecisionResources.com). Berkery Noyes is an investment bank specializing in mergers and acquisitions in the information, technology, content and communications industries. Berkery Noyes’ clients include private companies seeking a buyer as well as companies and private equity firms who use BNC’s expertise in identifying, analyzing and negotiating with acquisition candidates and in managing divestitures. The firm operates with a staff of forty professionals from its office in New York. More information is available at www.berkerynoyes.com.